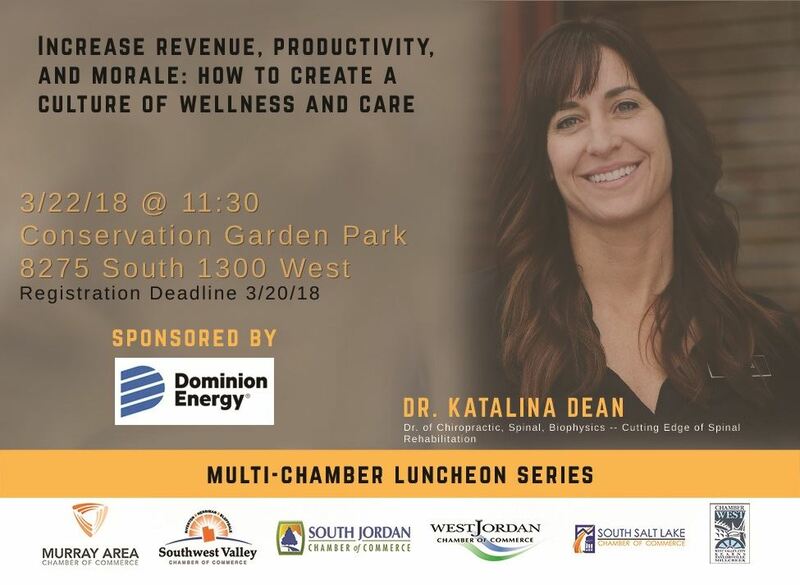 Come listen to Dr. Katalina Dean, Dr. of Chiropractic Spinal Biophysics, as she instructs us on How To Create a Culture of Wellness and Care. Learn how making a few changes can increase your revenue, productivity and morale. Dr. Katalina Dean became a professional snowboarder as a teenager, then went on to be a co-founder and competitor on the US Women's Snowboard Team for ten years. She later became a massage therapist, personal trainer and nutritionist where she helped others improve their health. She wanted to take her passion for health one step further as a licensed chiropractor and received her degree in 2010. After graduating, Dr. Dean continued her studies in the Chiropractic Neurology post graduate program and became a Certified Clinical Chiropractic Neurologist. She worked in several clinics in Texas where she helped children with Autism, Dyslexia, and ADHD. In 2013 Dr Dean was introduced to Chiropractic Spinal Biophysics (CBP) which is the cutting edge of chiropractic and the top of it's field for Spinal Rehabilitation backed by scientific research. She received her certification in Chiropractic Spinal Biophysics in 2016 and now co-owns Cottonwood Chiropractic in Midvale, Utah.